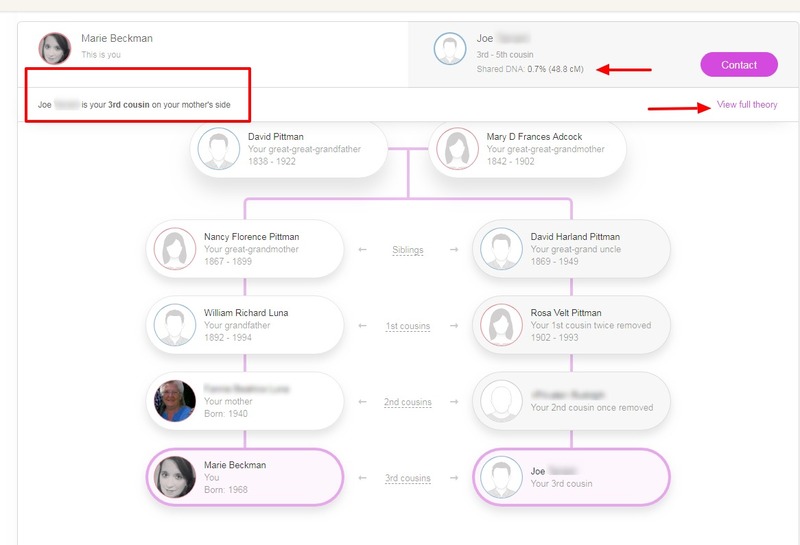 After my previous blog post about ThruLines™ and how I was using it with my Putman line, I moved on to MyHeritage's new tool Theory of Family Relativity™. 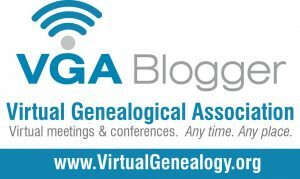 I have about 12,800 DNA matches at MyHeritage for which about 77 theories were generated. Among the theories was one for a descendant thru one of the Putman/Tyler children thru which I had previously found no testers descending thru. Now to verify and check and recheck. In the example below, you will notice that there is hyperlinked text which says "View Full Theory." This will allow you to see additional information about the connection or connections if there are more theories than one. It will also give you a confidence level for the relationship(s) on that page. I'll be the first to admit, I don't do such a great job of my notes at MyHeritage(or FTDNA). This makes it hard when I run AutoCluster reports because my note field offers very little hints. I would recommend that you write notes on your first 100 or so matches at MyHeritage and use the Theory of Family Relativity™.tool for help with your notes before running the AutoCluster tool. It will make the report far more useful.